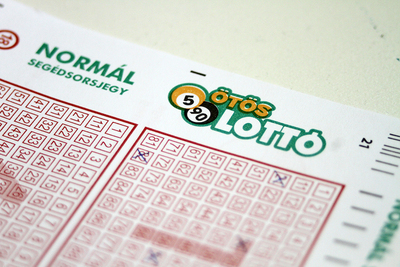 Hungary Ötöslottó, which is also known as Lotto 5, is among Hungary’s most popular lotteries. With jackpots that start at a modest Ft 60 million (€191,666) but can quickly grow exponentially since this is a rollover lottery, Otoslotto certainly offers a few things to get excited about. 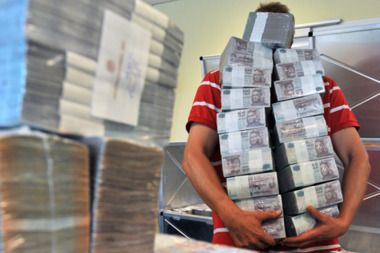 But how does it compare against Hungary Hatoslotto and other countries’ major lotteries? Read on as we find out. Hungarian lotteries go back as far as the year 1770, when the country’s first lottery draw took place in a city called Buda (Buda later went on to merge with Pest and Óbuda to become the Budapest we know today). All of Hungary’s lotteries are operated by a state-run company called Szerencsejáték—which means “playing gambling games”—that was established in 1991 with a mission to develop and promote lotteries throughout the country. One can say that Szerencsejáték definitely accomplished its mission, as it is now by far the biggest lotto operator in Hungary and about 65% of adult Hungarians play its various games, which also include EuroJackpot, Hatoslottó, Joker, Luxor, and Keno. The first Otoslotto draw took place on March 7, 1957, back when the National Bank was operating the few lotteries that existed in the country at the time. The game has had a few changes to its format over all these years, with one of the biggest being the Joker feature that was implemented into both Otoslotto and Hatsolottó that gives players a chance to win additional prizes for a small additional fee. We’ll examine the Joker game in more detail below. Playing Hungary Otoslotto is fairly straightforward, as there aren’t any bonus numbers that you need to match in order to win the jackpot. Instead, all you need to do is choose five numbers from a pool of 90 (which is in the range of 1 to 90). If your five numbers match the five that are drawn, you win the grand prize. However, you can also win prizes by matching four, three, or two of the numbers. As with most of the world’s best lotteries, players can choose their own numbers or opt for the automatic number generation feature. This works just like the Quick Pick or Lucky Dip feature that many other games offer. Otoslotto is a rollover lottery, and its jackpots can roll over for up to a year before they roll down to the secondary prize tier. Although it’s very unlikely that a jackpot would roll over quite this many times, if it did, you can be sure that someone would win it the moment it rolled down because of the drastically improved odds. If while playing Otoslotto you’d like to have a chance at winning additional prizes, you can pay a small fee and play an additional game called the Joker that draws immediately after the Otoslotto. Though this game has a pool of only 10 balls (in the 0 to 9 range), to win any of its prizes you must match not only the right numbers but also the right numbers in the right order. This definitely makes winning the Joker jackpot quite a bit more challenging than it initially seems, but people still often manage to do it. Prizes are offered for matching six, five, four, or two of the numbers that are drawn. At 1 in 43,949,268, Hungary Otoslotto’s odds aren’t anything to get excited about. In fact, considering the jackpots are smaller than those of many other big lotteries, the odds are quite tough overall. They’re comparable to Oz Lotto (1 in 45,379,620) and UK Lotto (1 in 45,057,474), both of which regularly offer much bigger jackpots. 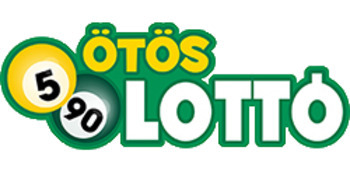 And if we’re going to compare apples to apples to see how Otoslotto holds up to lotteries with similar jackpots, then Austria Lotto (1 in 8,145,060), Australia Saturday Lotto (1 in 8,145,060), and especially Chile Clasico Loto (1 in 4,496,388) all offer considerably better odds. Heck, even Otoslotto’s little brother Hungary Hatoslottó offers similar jackpots with much better odds: 1 in 8,145,060. The Otoslotto draw occurs just once per week on Saturday nights at 6:30 pm GMT in the capital city, Budapest, and the Joker draw takes place right after. All winnings must be claimed within 90 days. While some lotteries offer both single lump-sum payments and an annuity option that will spread your winnings over many years so that you can manage them more responsibly, Otoslotto only offers the former. Even though there are some benefits of taking an annuity option, many people prefer to and feel much more secure getting all their winnings at one time. Otoslotto, like all of Hungary’s lotteries, is an untaxed lottery, so whatever you win is exactly what you get to keep. While that is great in and of itself, this does not exclude you from being taxed by your own country’s government—if your country does this—once you transfer the money into your bank account. Not sure what your local tax laws on lottery wins are? Then this is definitely something worth googling and brushing up on. If you’d like to try your luck at winning the Hungary Otoslotto jackpot, your best bet is to play the game through an online ticket agent or lottery betting website. The top online lottery sites not only make playing Otoslotto and dozens of other lotteries easy and straightforward; they also streamline a lot of the things about lotteries that are tedious while infusing a lot of excitement into the experience as well. Hungary Otoslotto – Is It Worth Playing? While Otoslotto has a lot to offer, including attractive jackpots and a super simple game format, it’s hard to look past how tough the game’s odds are relative to the size of the jackpots. This is an annoyance that’s somewhat mitigated by the great odds of its secondary prizes, but it’s not quite enough to make this a “must-try” lottery. As a result and overall, we think you’d be better off playing something like Hungary Hatoslotto or Chile Clasico Loto instead. This game is but only ok. Much prefer Hatoslotto or Polish Lotto/Mini Lotto when I want to play Eastern European lotteries.